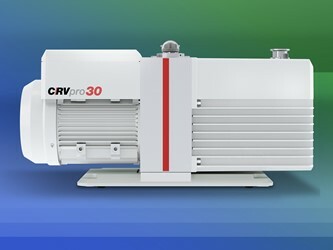 SANTA ROSA, CA – Grauling Research, Inc. (www.graulingresearch.com) announces a new reseller arrangement with Welch® Vacuum - Gardner Denver (www.welchvacuum.com), a leading global supplier of vacuum pumps for industrial, laboratory, and educational applications. Grauling Research, Inc. is now an authorized reseller for the Welch product line. Grauling Research will provide Welch vacuum pump products and accessories to meet the demand in thin film, optics, smelting, Department of Defense (DoD), universities, research, National Labs, and more. Welch vacuum products and accessories that are now available through Grauling Research include laboratory dry pumps, pumps for short path distillation, purge ovens, post-extraction vacuum purification for rotovaps, wiped film apparatus, industrial vacuum pumps, direct-drive rotary vane pumps (up to 36% less oil consumption), oil-free deep vacuum systems, fittings, repair kits, and much more. In addition to the new reseller arrangement with Welch, Grauling Research is the only vacuum pump rebuilder in Northern California’s North Bay region, making it convenient for local businesses that may require vacuum pump rebuilding services. For more information on Grauling Research’s worldwide sales of Welch vacuum-pump products and accessories, or to learn more about Grauling’s vacuum pump rebuilding services, please email sales@graulingresearch.com. Grauling Research, Inc. (www.graulingresearch.com - Santa Rosa, CA) is a leading-edge U.S.- based research company and a global supplier of coating materials, consumables, and equipment support for thin-film coating manufacturers, industrial equipment, and semiconductor industries. The company, a certified Service-Disabled Veteran-Owned Small Business (SDVOSB) and California State certified Disabled Veteran Business Enterprise (DVBE) also offers Research & Development, Consulting, and Customized Training & Support. Grauling Research is highly regarded for its responsive and talented engineering staff, worldwide product sales, and premium customer service with quick turnaround. For more information, please call direct: +1 707-687-9577.